Richard Sherman previously served as managing partner of the Newport Beach office, serving the maximum permissible term. He served on the Executive Committee for 14 years. Richard primarily represents real estate developers and airlines in all aspects of their businesses, including litigation, land development agreements, relations with federal, state, county and municipal governments and agencies, the purchase and sale of real estate (both commercial and residential), land planning, environmental issues, insurance coverage, and finance. For five years, Richard was executive vice president and general counsel of The William Lyon Company and all other Lyon-related companies. In that capacity, he supervised all legal affairs and litigation, negotiated the purchase and sale of several billion dollars of real estate, and handled all aspects of real estate development transactions (including acquisition and sale of property, financing, government relations, land planning, subcontracts, bonding, and consumer sales contracts). 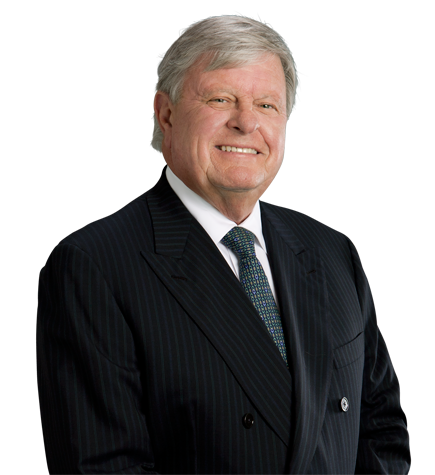 Richard also supervised all aspects of employee, legal, and business relations with development partners and financial partners. He also devoted significant time to insurance coverage issues, disputes with insurance carriers, and issues related to insurance carriers for subcontractors of the Lyon entities. Richard has also served as general counsel and senior vice president of AirCal, including representation of AirCal in litigation, in negotiations with federal, state and municipal governments, and in the sale of the airline to American Airlines, Inc.
Richard is honored by the creation of the Richard M. Sherman Distinguished Professorship of Law at the University of California, Berkeley, Boalt Hall School of Law. The professorship is currently held by Pamela Samuelson, director of the Berkeley Center for Law and Technology. Served as lead counsel to a NYSE-listed company in all phases of its business and litigation, including compliance with securities laws and regulations. Served as lead trial counsel in an arbitration involving dissolution of real estate entities and ownership of land. Richard’s client prevailed against the demand in arbitration alleging breach of fiduciary duty, and prevailed on a cross demand in arbitration with the client awarded more than $1 billion in land and dissolution of the ventures. Served as lead trial counsel for a major international airline in litigation over gate access, departure slots, environmental issues, and real estate rights at numerous California airports. Served as lead counsel for numerous real estate developers in negotiating billions of dollars of financing agreements, acquisition and disposition agreements with regard to commercial and residential real estate transactions, including age-restricted communities. Served as lead trial counsel for numerous real estate developers and owners in connection with construction claims, construction defect claims, and environmental issues. Served as lead trial counsel in numerous disputes relating to insurance coverage litigation and insurance coverage disputes. Served as lead trial counsel in numerous litigations and arbitrations regarding partnership disputes and disputes between joint venturers. Served as lead counsel in connection with the acquisition and sale of several world class antique and classic automobile collections.